Eating and drinking local in Charleston is one of my absolute favorite things. 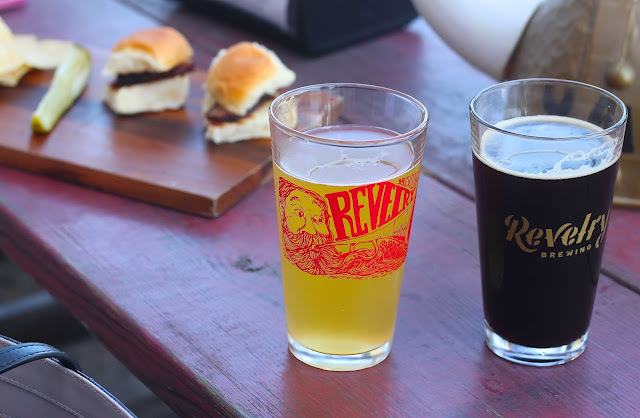 I've shared a bunch about my favorite distilleries and cocktails throughout the city, but I've never devoted a post to my other favorite alcoholic beverages: beer! 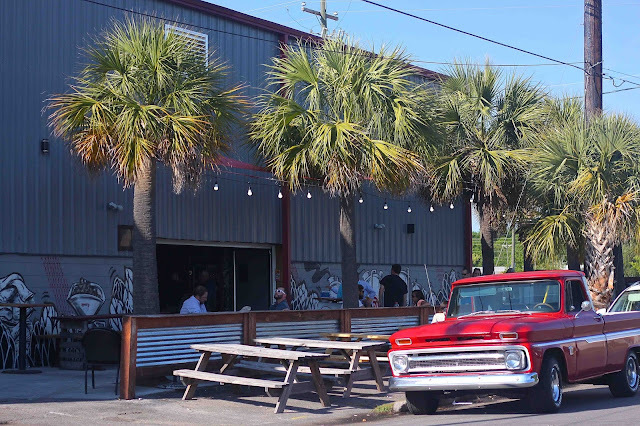 Charleston has a whole lot of local breweries; they all have great settings with outdoor seating and usually some lawn games to play or a food truck (if they don't make their own delicious food). 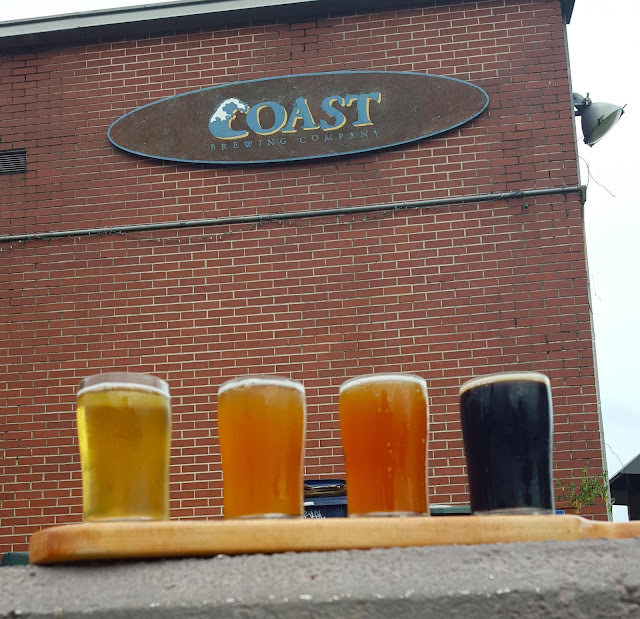 Today, I'm reviewing 6 of the 12 breweries in the greater Charleston area, and by the end of the summer (since it will be on my bucket list coming next week) I hope to have part 2 with the other 6 to share with you! Holy City Brewing (Dorchester Road, North Charleston): This was the first brewery I ever tried in Charleston. 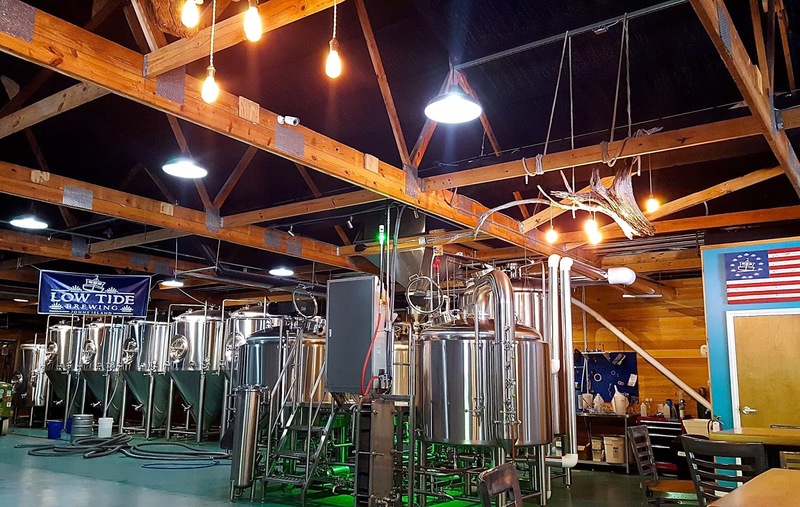 I had seen their beer around in every bar and package store, and the photos of the brewery looked really cool. 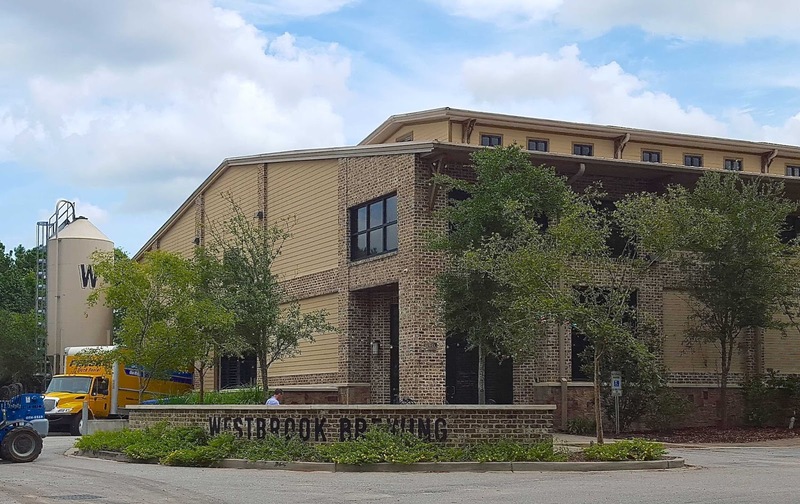 Well, after you find it (hidden in a very industrial area), the atmosphere is great with seating both inside and out and huge garage doors that are open almost all year to separate the two. 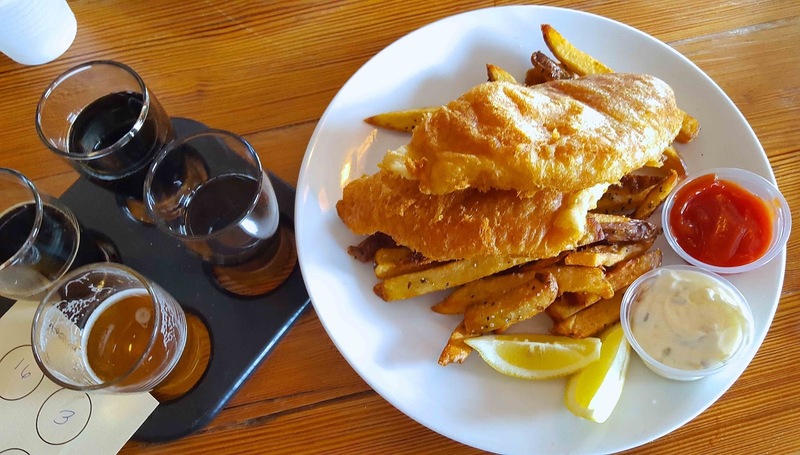 This is more than just a brewery for us, it's a favorite dinner spot, too. 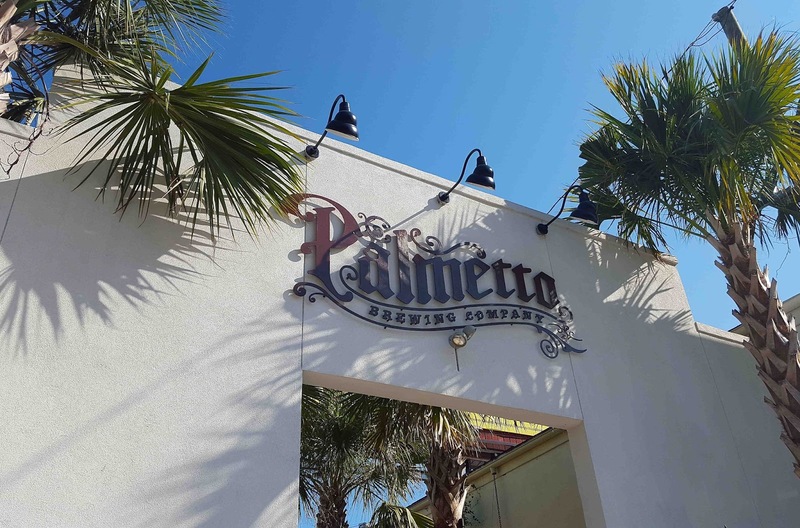 Palmetto Brewing Company (Huger Street, Charleston): I stumbled into Palmetto for the first time after a delicious happy hour down the street at Taco Boy. This was another beer brand I had seen all over the city, so expectations were high. My favorite part about Palmetto is the courtyard inside the main gate. 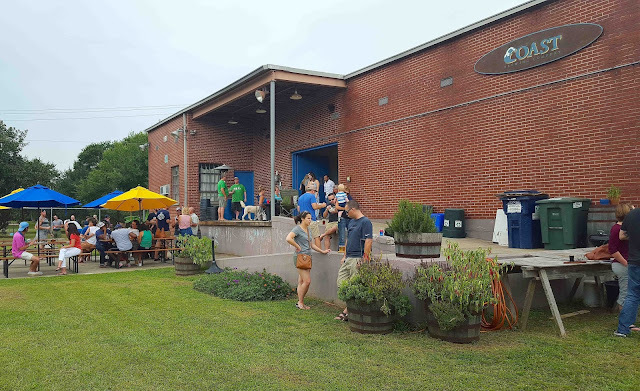 They have a few corn hole boards and it's a cool, shady spot to enjoy a beer during the summer. Revelry Brewing Co. (Conroy Street, Charleston): This is one of the smaller taprooms in Charleston, but the beer and brewers more than make up for it! 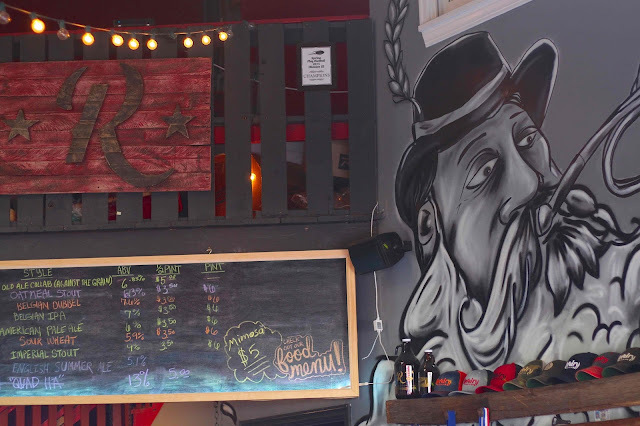 They brews fantastic (and some very unique) beers, and if the pork belly sliders are on the specials board when you're there - you need to give them a try! I am also a huge fan of all the art on the walls both inside and out. 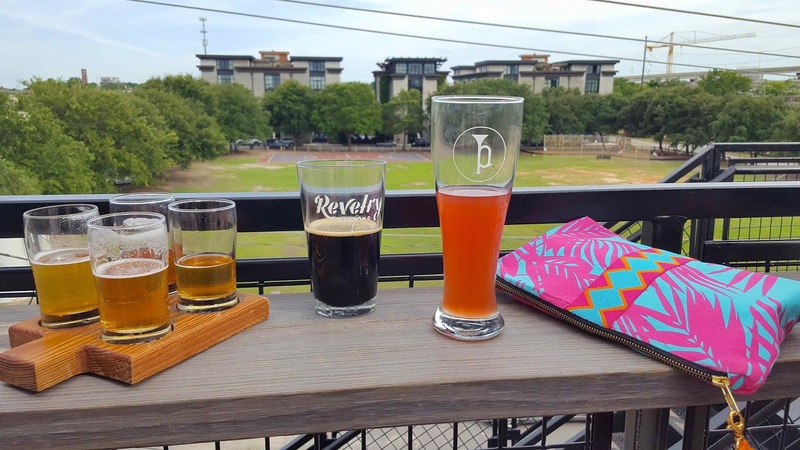 Summer 2017 update: They now also have a rooftop bar (pictured in the last Revelry photo below) as well as a sushi menu daily from Tobo Sushi. Coast Brewing (Second Street, North Charleston): Coast is first and foremost a functioning brewery with no separate taproom space. That doesn't mean that it isn't hopping on the weekends! They always bring in food trucks and set up more games than any other brewery. They only have a few beers, but they are very good. Westbrook Brewing (Ridge Road, Mount Pleasant): Westbrook has a wide variety of extremely unique beers. Their tasting room is small, but the big bonus here is that they offer tours Tuesday through Saturday, unlike many other breweries in town. 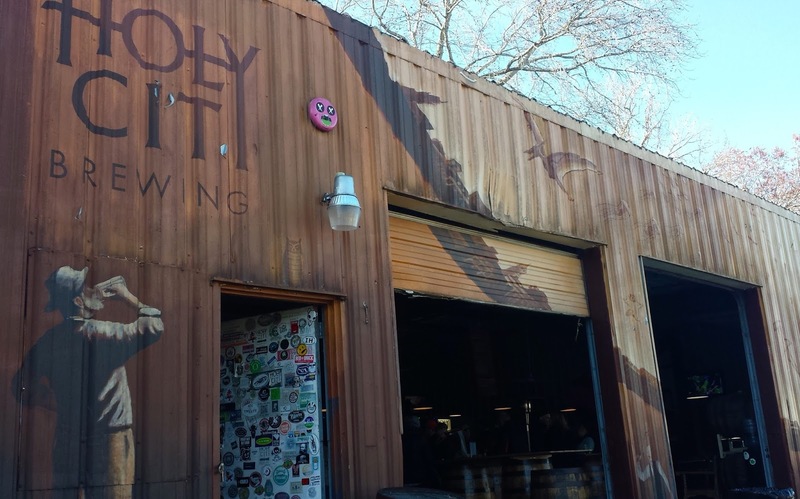 They definitely have one of the biggest distributions in the area, and even our friends in New Jersey are able to buy their beers. I also love how many collaborations they do with other craft breweries. My favorite is absolutely anything they do with Eviltwin Brewing. 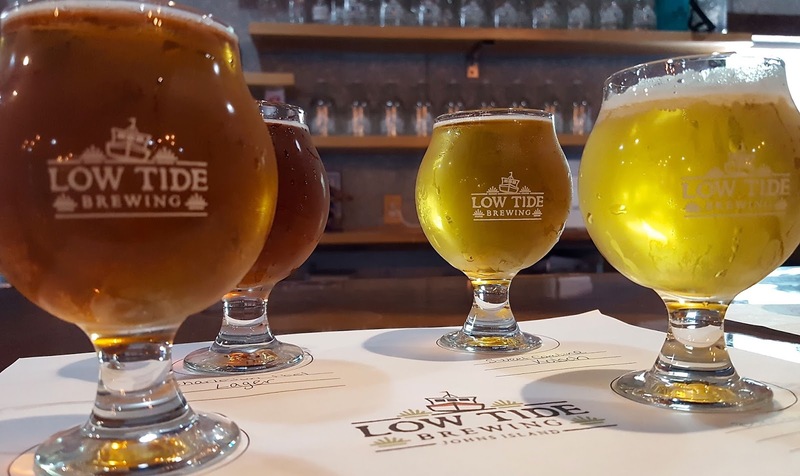 Low Tide Brewing (Maybank Highway, Johns Island): The newest brewery in Charleston is quickly becoming one of my absolute favorites! 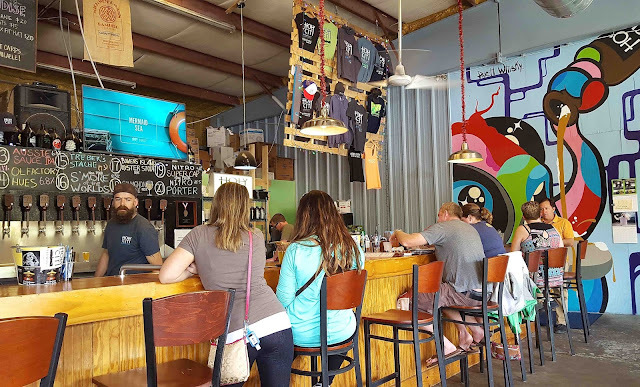 Besides their huge taproom and great outdoor seating, what I think is the coolest about their company is their philosophy to partner with local establishments. 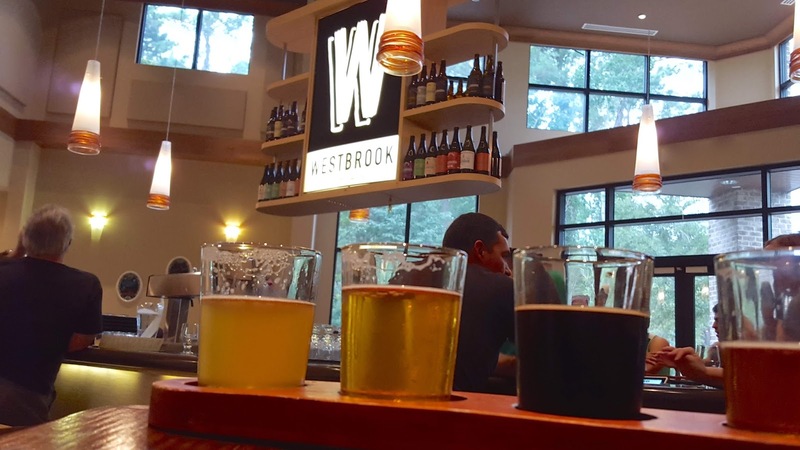 They brew specialty beers that they only sell to one restaurant in town, but the great thing about going to the brewery is that you can taste them all in one place. There you have it! 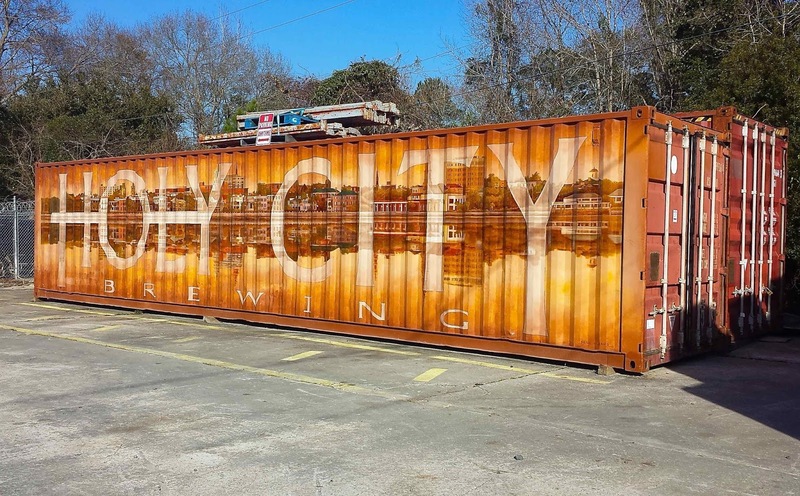 Do you have a favorite local brewery where you live? 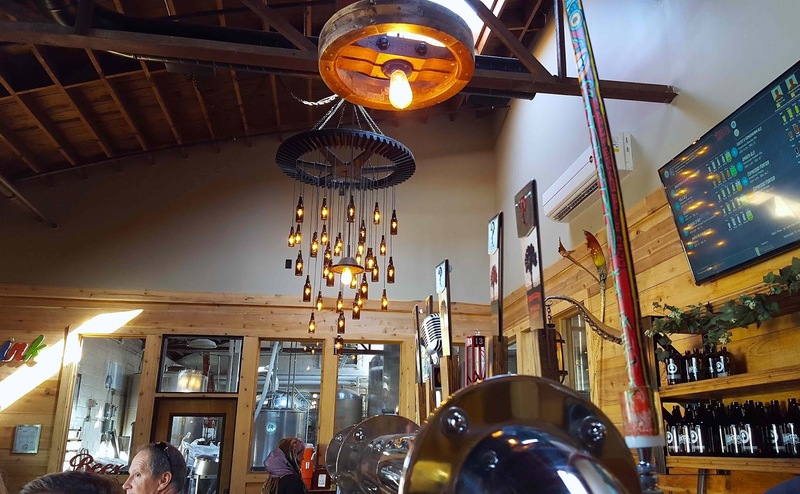 Please share - I always love visiting new tap rooms when I travel! Yup, ok, so I love everything about this post except for the fact that I'm now craving those fries from Holy City! So, so good. And now I also really want a Sweet Caroline Kolsch from Low Tide. And... to try all of the other breweries in Charleston that I haven't been to yet. I need to get back down there ASAP and make that happen! This is awesome! I just shared it with my future brother-in-law since he's going to Charleston this fall! You found some really cool places! How fun!! I'll definitely be sure to hit up some local breweries when I make it to Charleston. I love the vibes of them all and the beers sound yummy! Yay for hopefully hitting your goal by end of summer! I love Palmetto and Low Tide- haven't been to the others yet! Love this post! Love Charleston! I'll use your guide to add a lot to my must-try list for next time I'm there! No shortage of wonderful food and drinks to be had! I had no idea that we have this many breweries!